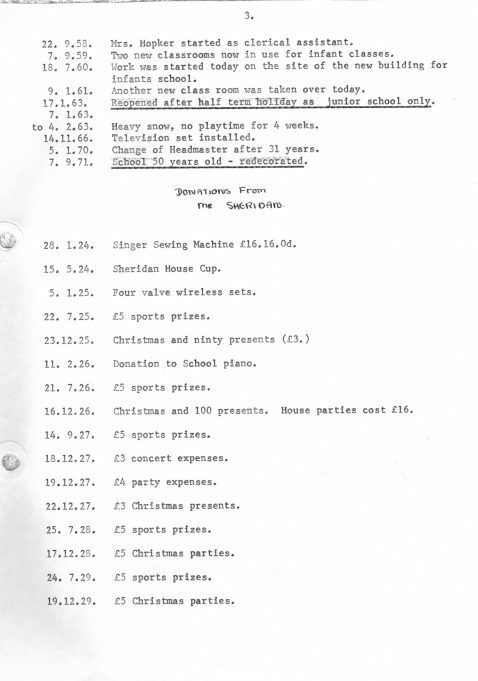 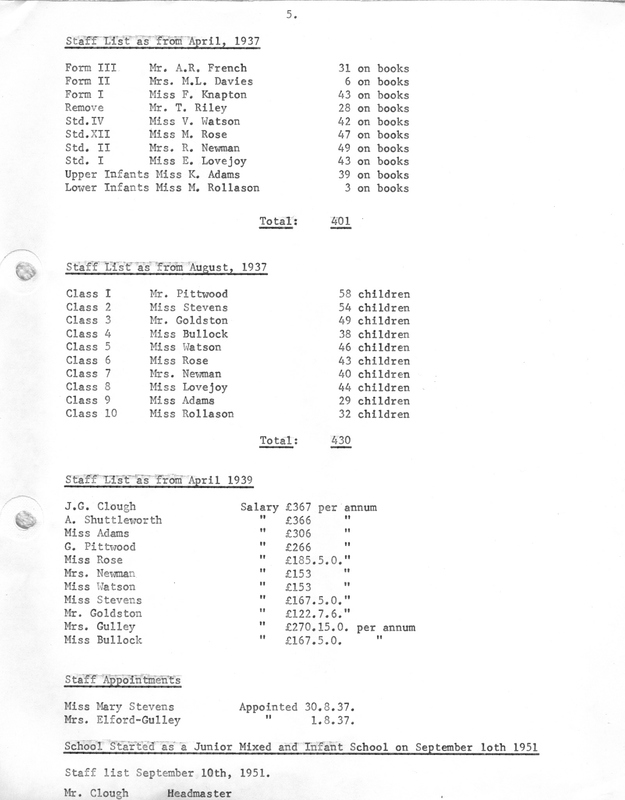 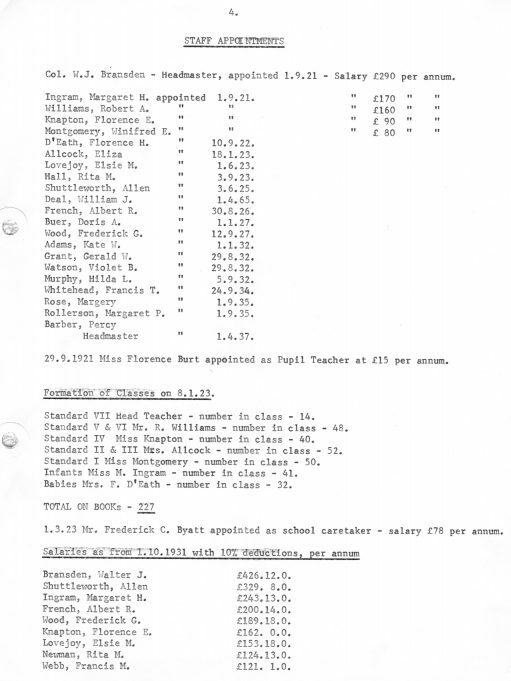 When staff at Thundersley Primary School allowed us to borrow and scan the school’s historical photos and documents, little did we know what an insight into the schools history it would provide us with. 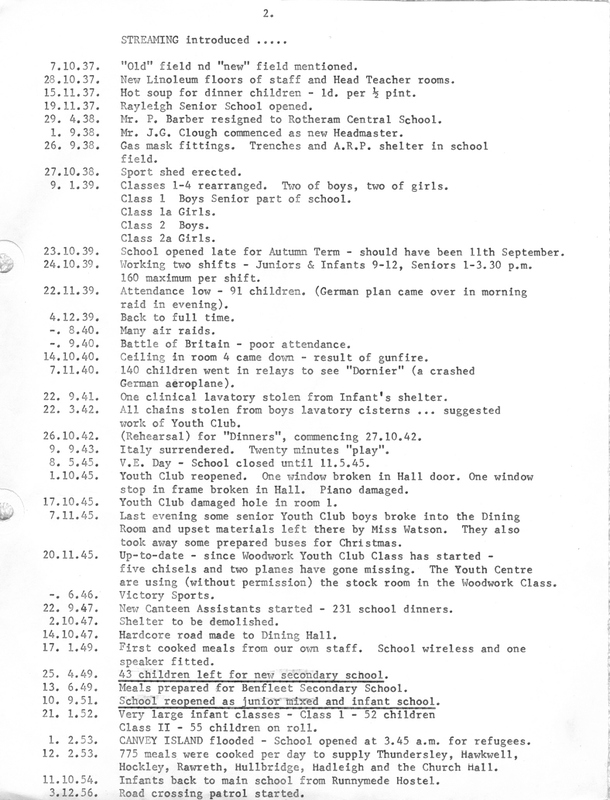 Several photos and a diary of noteworthy events are shown on this page. 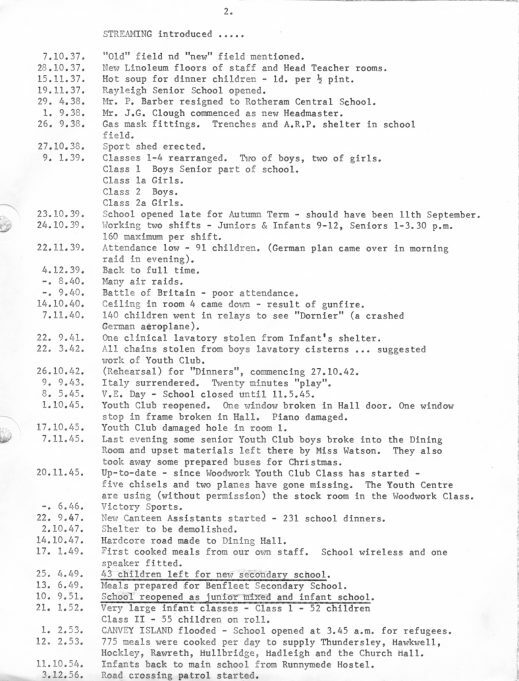 The diary of events forms part of a work produced by Jeanette Quantrill née Case, a former pupil of the school. 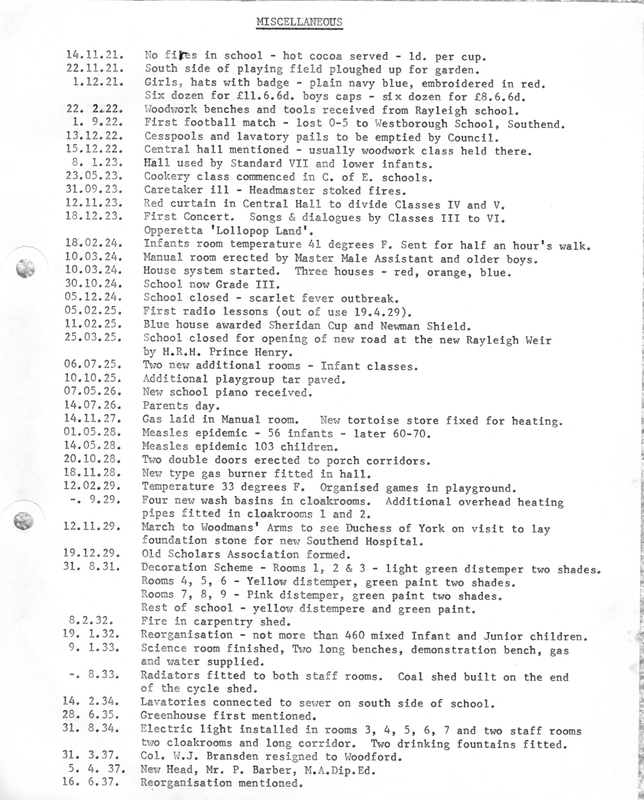 The full ‘Potted History‘ is available to view on this site by clicking the link. 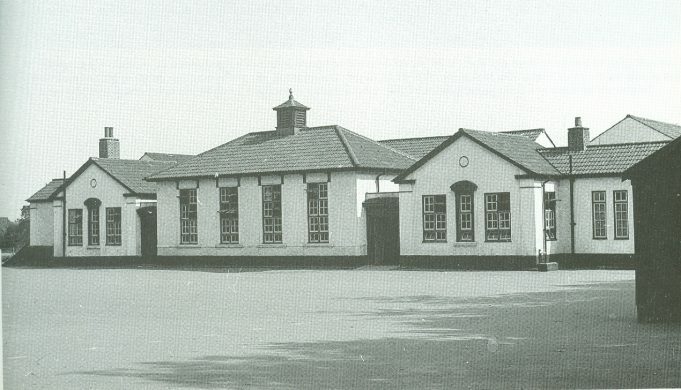 A photo of the school is shown below. 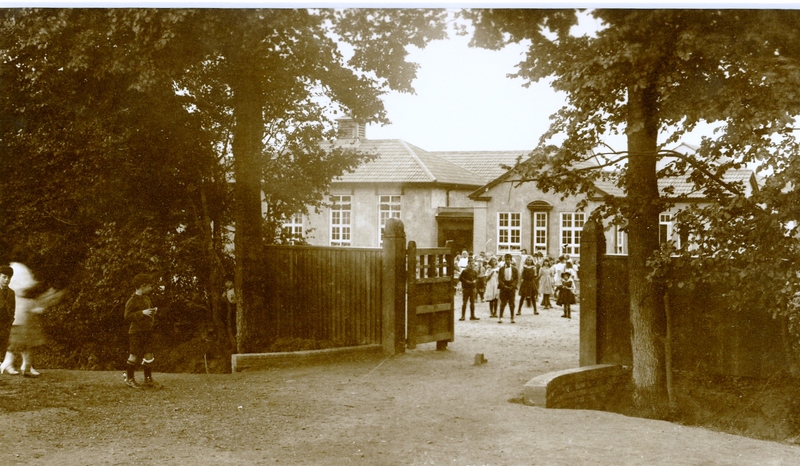 Taken some time in the early 1930s, at which time the Headmaster was Colonel Bransden. 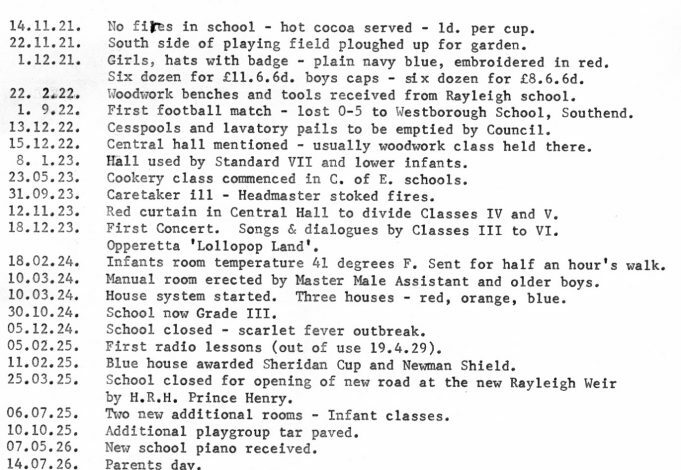 Also below, a small extract from the diary of events. 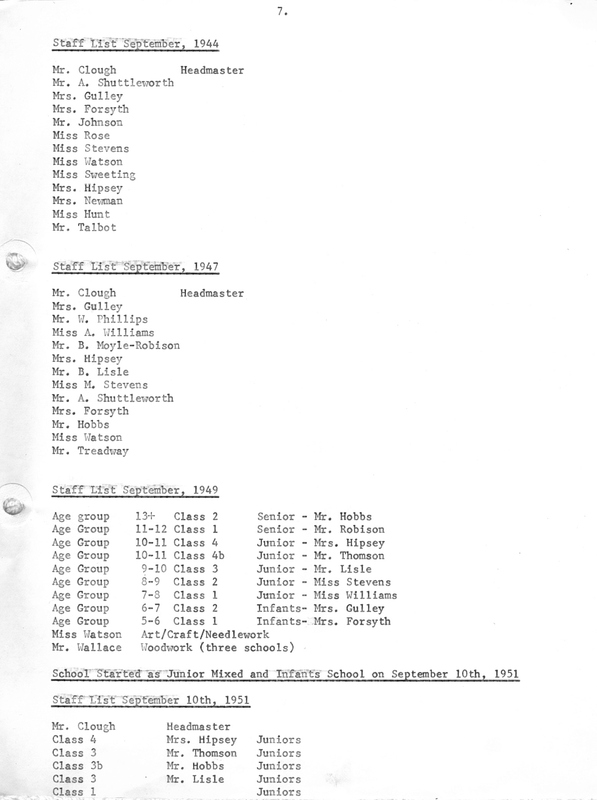 The full diary is shown at the bottom of this page and can also be viewed in the ‘Potted History’. 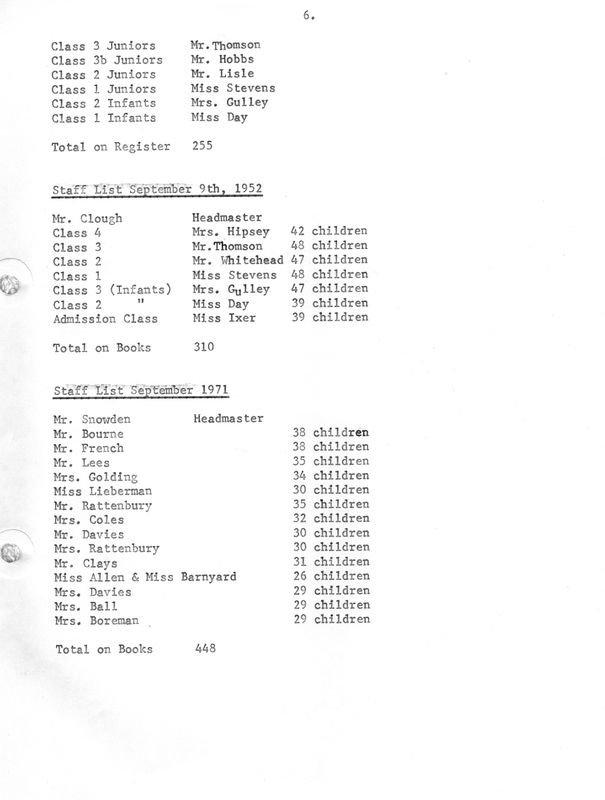 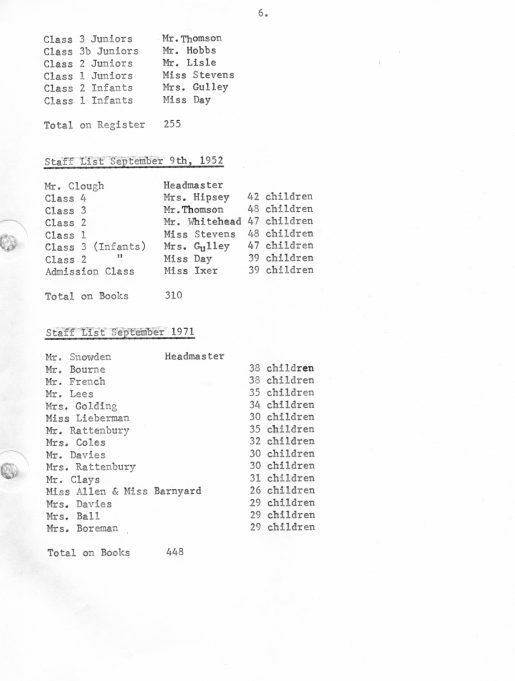 A gentleman who is mentioned many times in the school’s Log Book and Minute Book is William Henry Sheridan. Described at the time as a landowner and philanthropist, William Sheridan gifted many items and funded many events at the school. 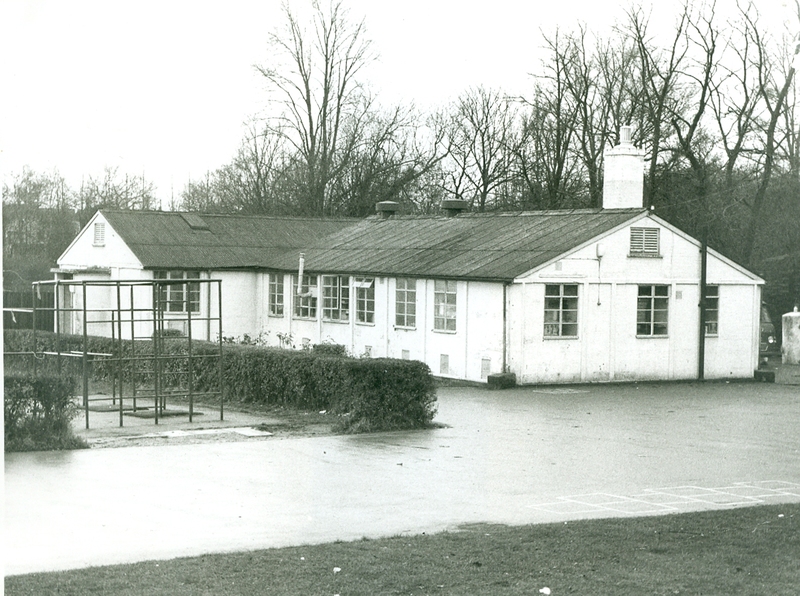 For 35 years he resided at ‘Gate House Farm’ Kiln Road, Thundersley, during which time he was a frequent visitor to the school. 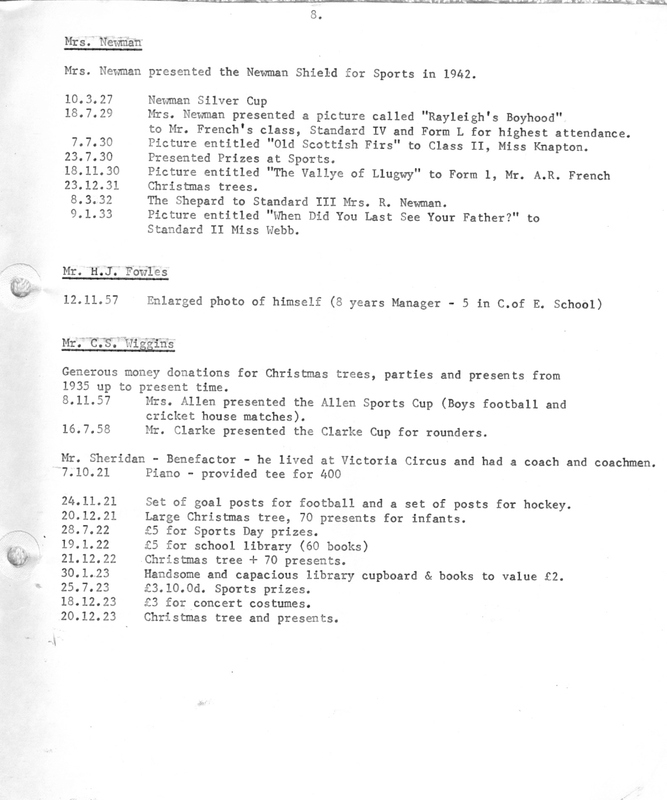 Locally, William Sheridan was known as a kind and generous man, to whom no worthy cause ever appealed to him in vain. 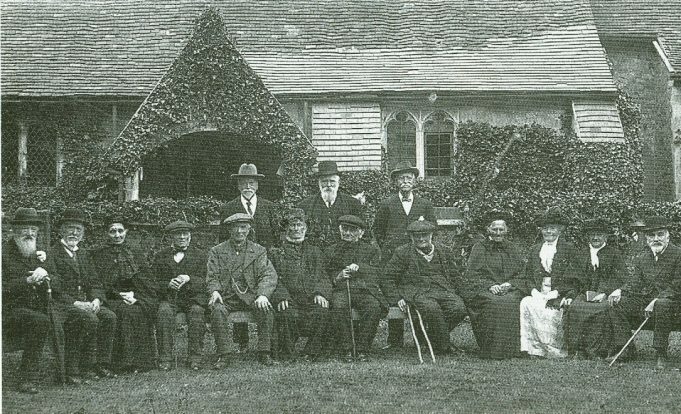 A photo below shows Mr Sheridan (with the large white beard), attending an annual tea party for the elderly residents of the village, a function which he supported. The following photos were held by the school but little information is known. If anyone can help us to identify the children or teachers, please contact us via the add a comment section at the bottom of this page. 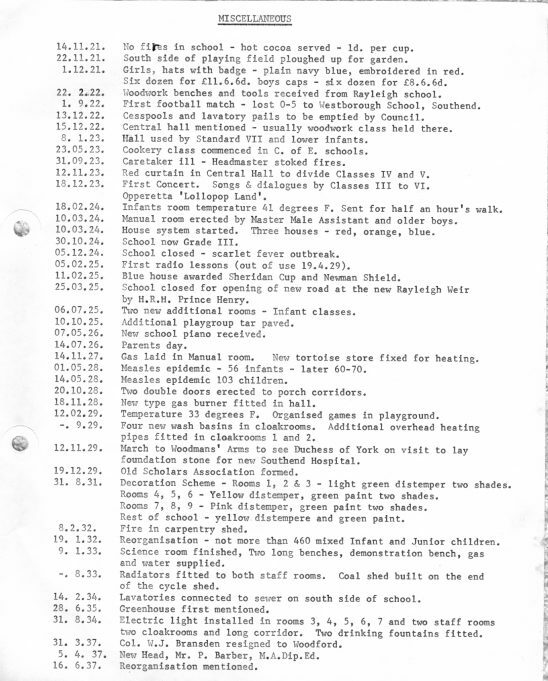 The last eight pages pages feature noteworthy events in date order. 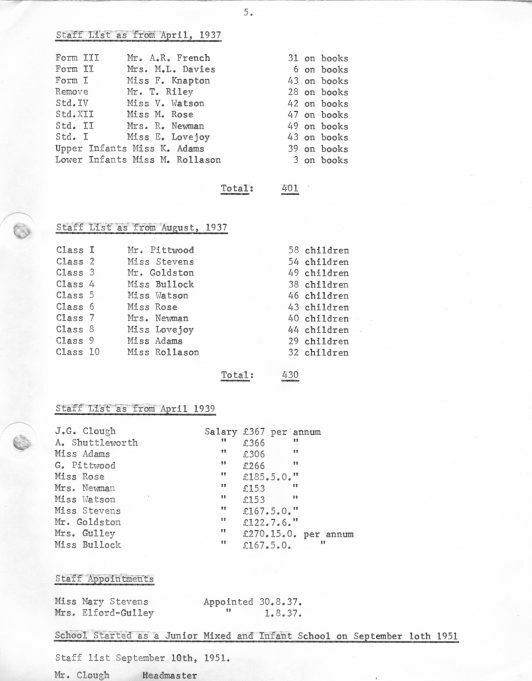 The dates range from 1921 through to 1971 when the school celebrated its 50th anniversary. This information is followed by details on staff appointments, together with details of various presentations made to the school over the years. Class photo - date unknown. Colonel Bransden stands at the back, far right but who is the lady seated at the front wearing a fur coat? 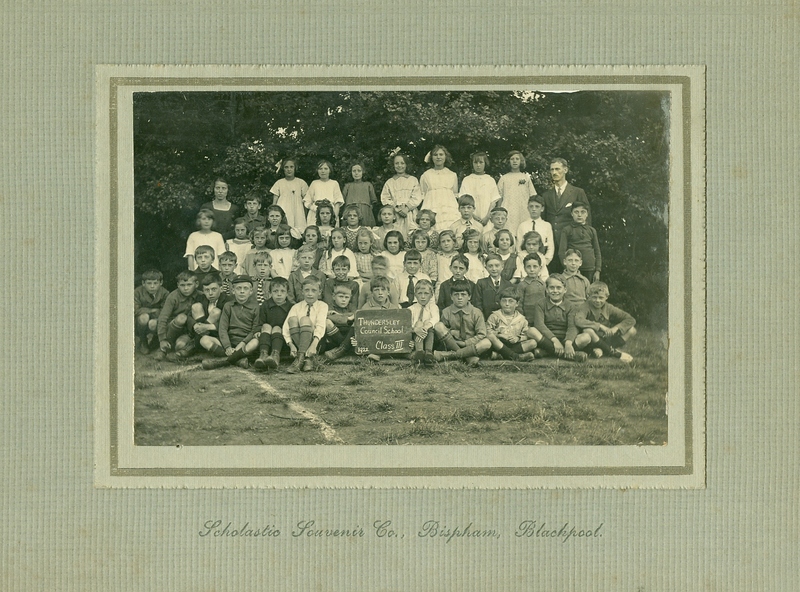 Class II - Taken in 1921 the school's first year. Standing back left - Headmaster Colonel Bransdon and back right - teacher Mr Williams. Class III - taken in 1922. 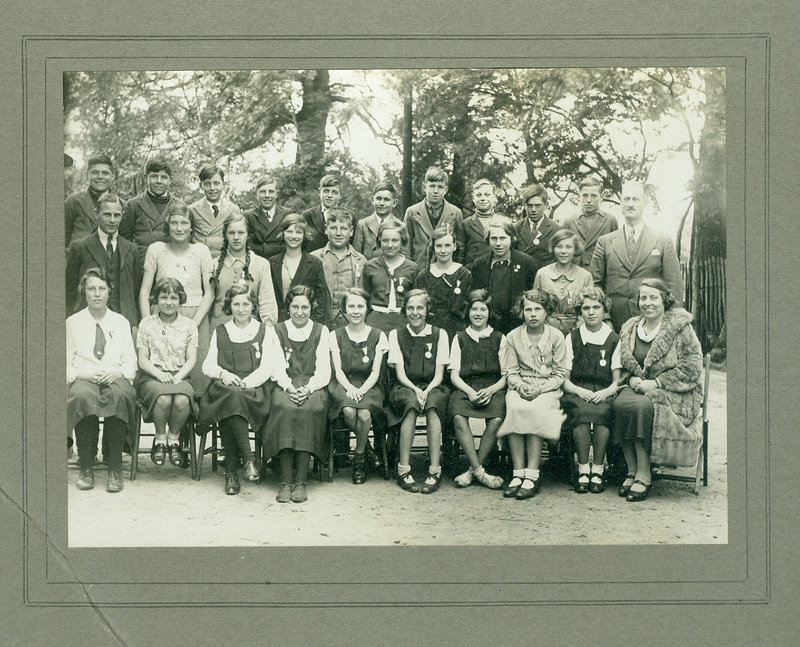 Colonel Bransdon, Headmaster stands at the back, far right. Digging for Victory - During the 2nd World War schools were required to help the war effort. 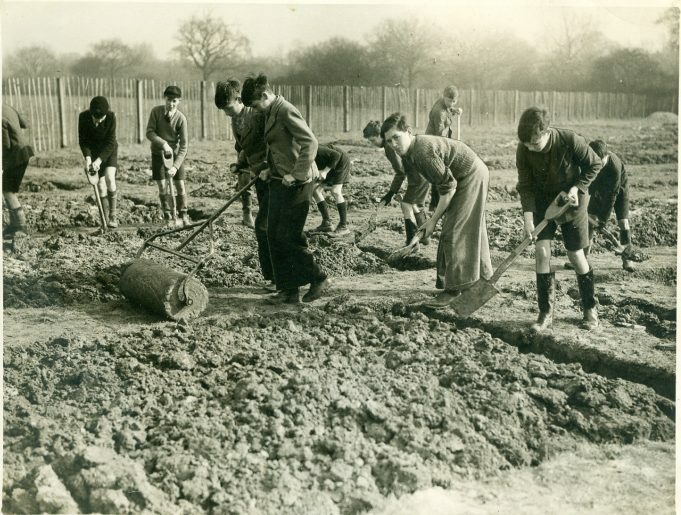 These pupils can be seen preparing the 40 plots required, each measuring 30ft x 10ft. 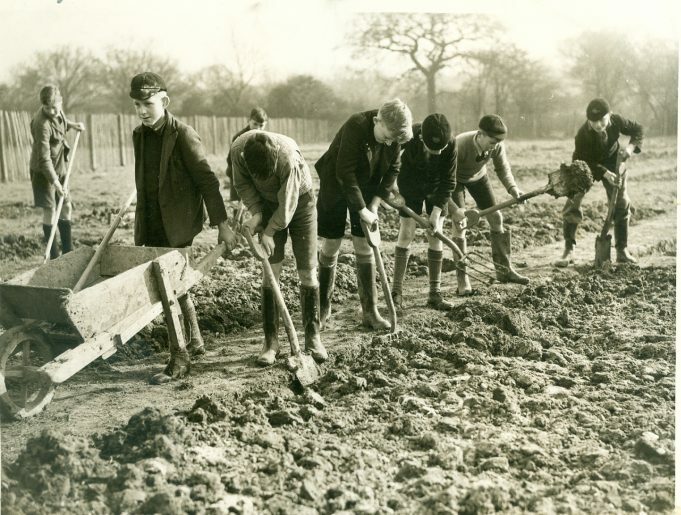 The roller being used by one of the boys was made at the school. 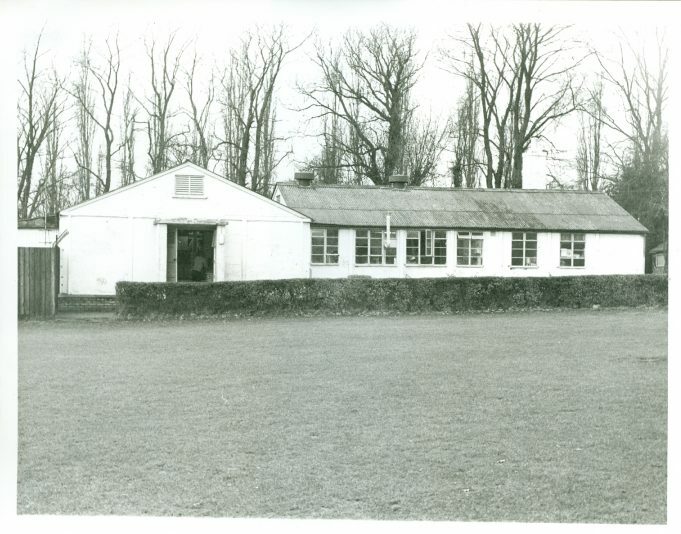 This building was used as a dining hall and it is also where the 11+ examinations took place. 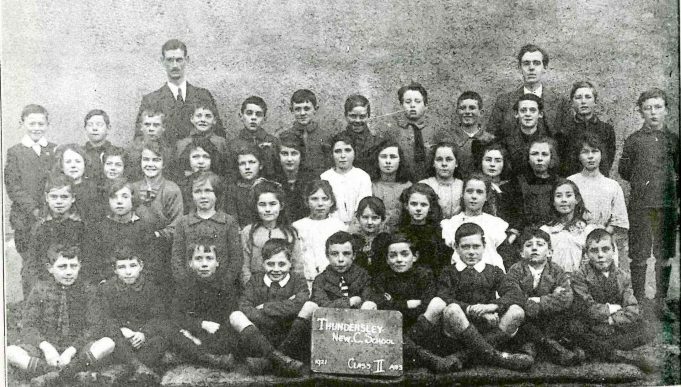 I have a photograph of Class 1 of 1921 including my Mother. Can I upload it? Editor: Since sending in this comment, Trevor has provided us with some photos/cuttings which have now been published, please click here to view.